Hi! Welcome to this new post entry in Dental Solutions Los Algodones and be ready to learn some new interesting cool stuff. This time I want to talk about a vital piece in our dental care: the toothbrush. This little tool is so important in our everyday life that without it we would lose all our precious teeth. That’s why today we are going to earn when it is the perfect timing to change it. It is very important to know that we can’t use our toothbrush forever. We have to change it from time to time because as everything, it wears down with us and time. A toothbrush in bad shape can do more harm than good. It can attract many diseases due to the fact that it accumulates bacteria that can infect our mouth and teeth. Some of the diseases you can get from a toothbrush in bad state are dental cavities and gingivitis. Although sometimes the toothbrush gets so rotten that gets your teeth too. This can lead to tooth loss and really bad breath. So if you don’t want to be in this scenario in a near future you have to pay attention to this article. It is time to change my toothbrush? Ok! So let’s begin with the most basics stuff. It is pretty easy to know when your toothbrush is all messed up, you just have to pay enough attention to the little signals and details. The first thing you have to look for is the bristles. If you see them all messed up then it is a good reason to dump your current toothbrush and look for a new one. But that is not all, there are other things to look out for. The handled it is also a key part of the toothbrush and you have to take care if it too. Obviously, if you see that your toothbrush is breaking apart you should stop using it as soon as possible because as I stated above it can bring disastrous consequences. Even so, it doesn’t matter how long you have been brushing with the same toothbrush there are some little tricks to know when to change it. 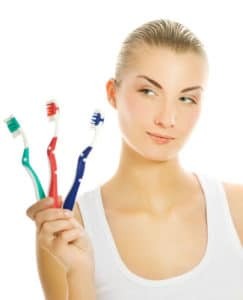 Dentists recommend changing toothbrushes after 3 to 4 months of use. This way you ensure that you use your tooth brush to the maximum and get the most out of this awesome item to clean teeth. 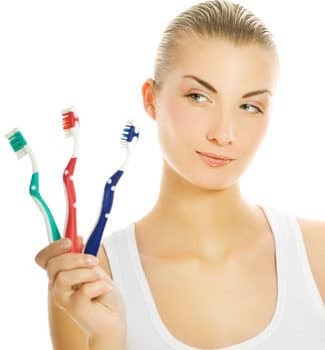 Now that you are getting rid of your old toothbrush is time to get a new shiny one to keep brushing your teeth. I’m going to take the freedom to give you some suggestions you can apply de next time you in the store to get a new toothbrush. For beginners, always pick a toothbrush that has a recognizable brand or the ADA seal of approval. ADA stands for American Dentists Association so all the products that you can find with their seal are safe to buy and use. After that it is a matter of taste. Then after that you should focus on utility. Pick a toothbrush with nice bristle, nice handle so brushing your teeth everyday feels like a joy rather than a chore. Toothbrushes with tongue scrapper are a nice to have and not a bad choice at all. And if you prefer electric toothbrush, that is fine too, they are really cool and useful if you can afford one.